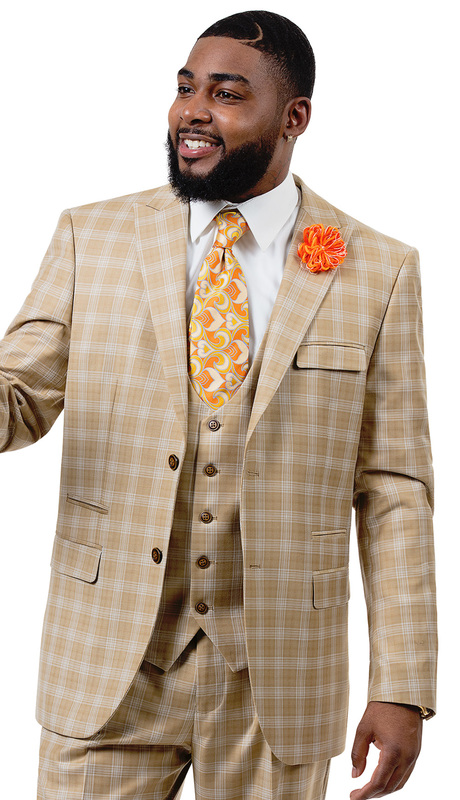 3 piece plaid men's suit with reversible vest. 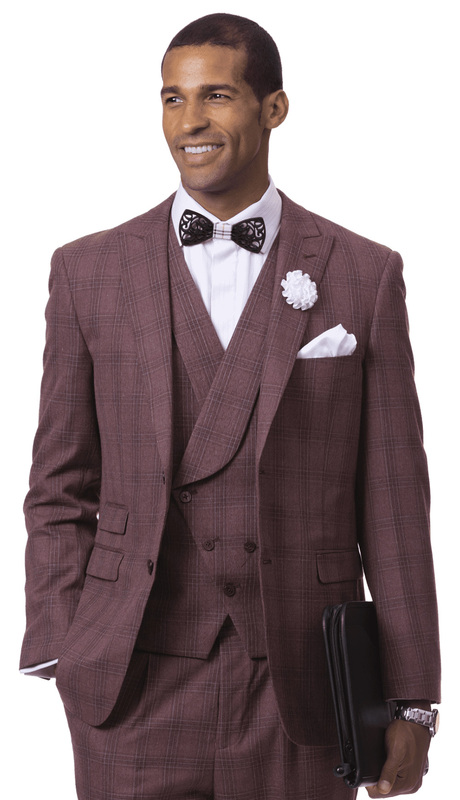 3 piece windowpane plaid men's suit with reversible vest. 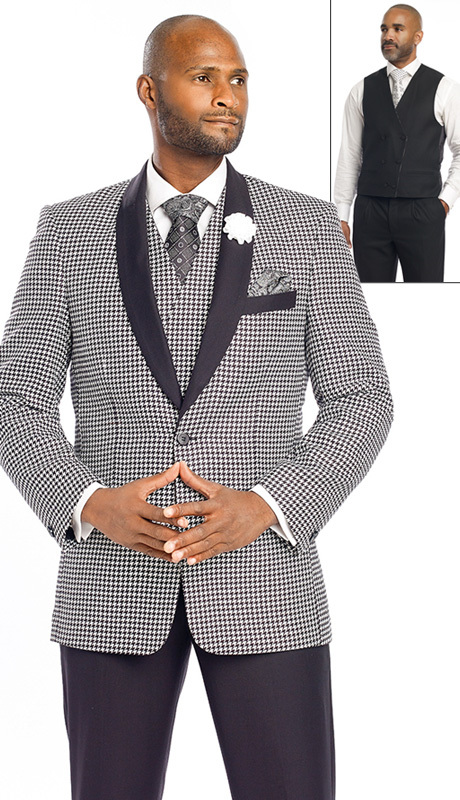 3 piece windowpane plaid men's suit with vest. 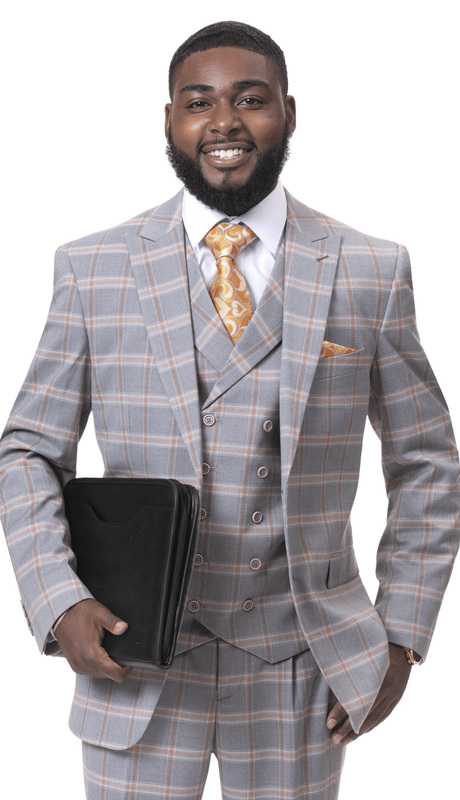 3 piece plaid men's suit with vest. 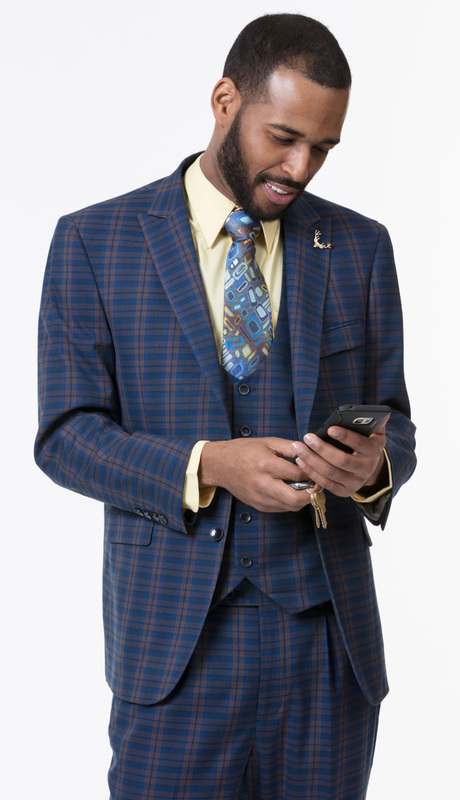 3 piece windowpane plaid men's suit with double-breasted vest. 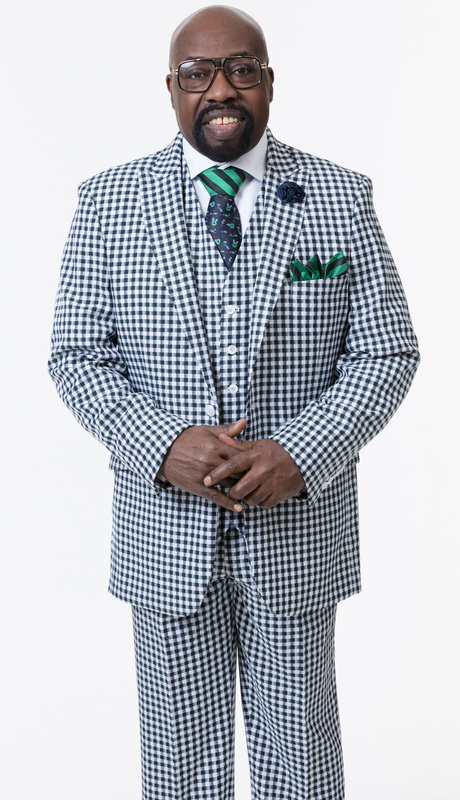 3 piece plaid men's suit with double-breasted vest and pleated pants. 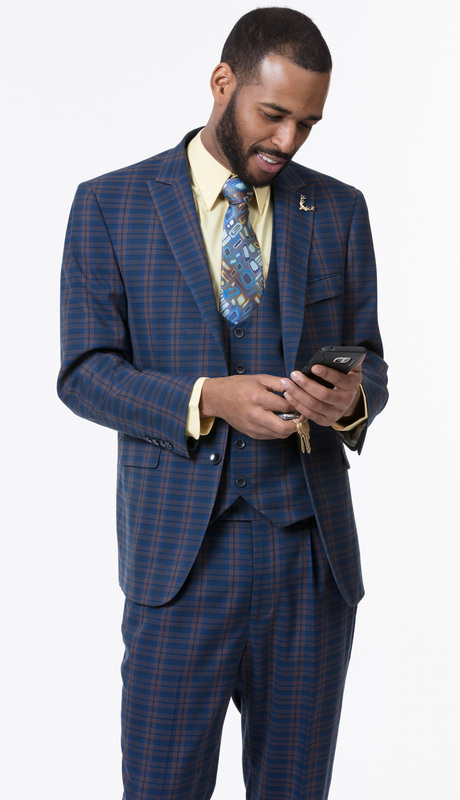 3 piece men's plaid suit with double-breasted vest and pleated pants. 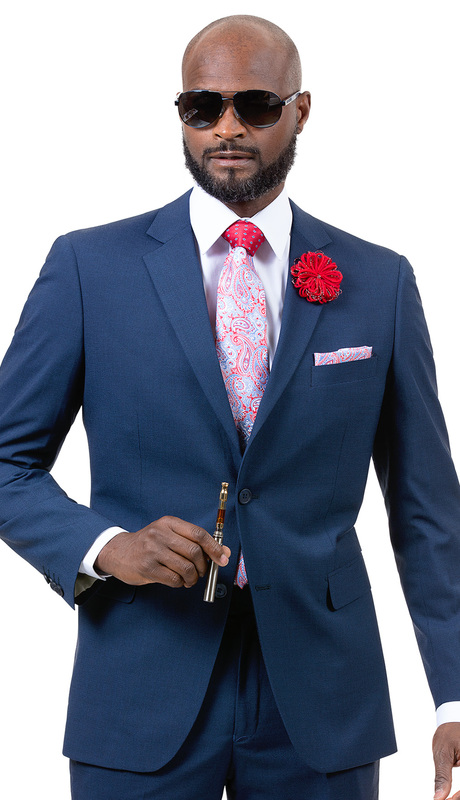 3 piece men's suit with vest. 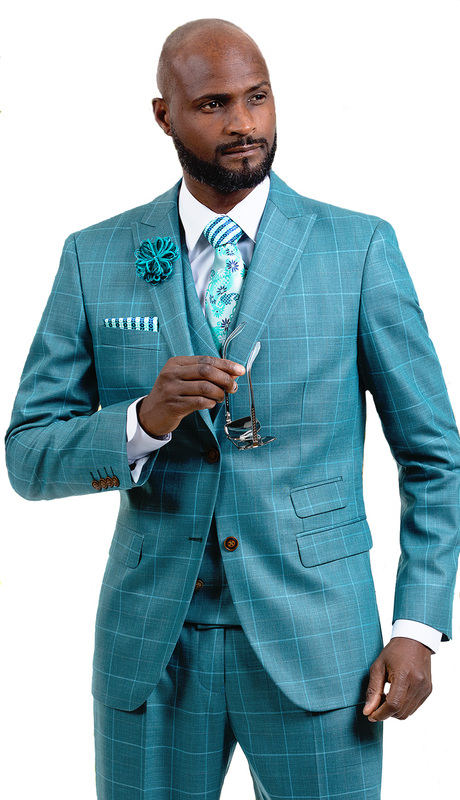 2 piece traditional men's suit. 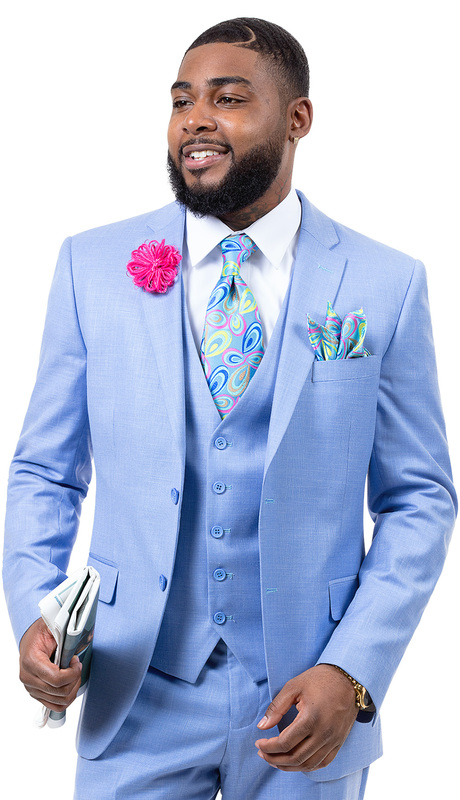 2 piece men's suit. 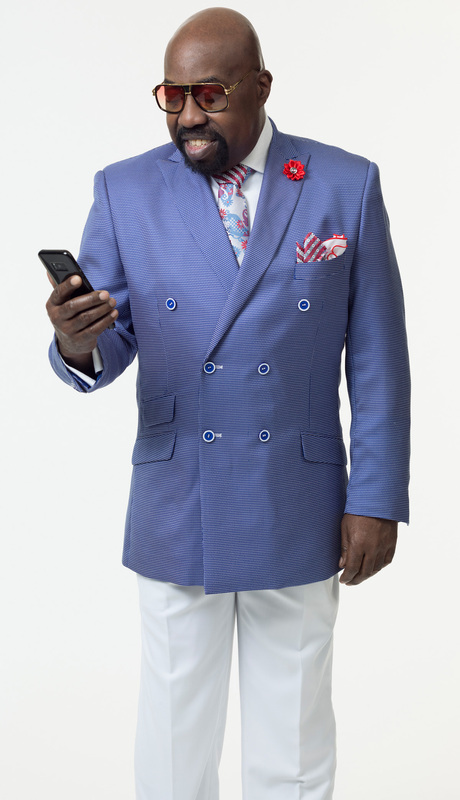 Classic 2 button jacket. 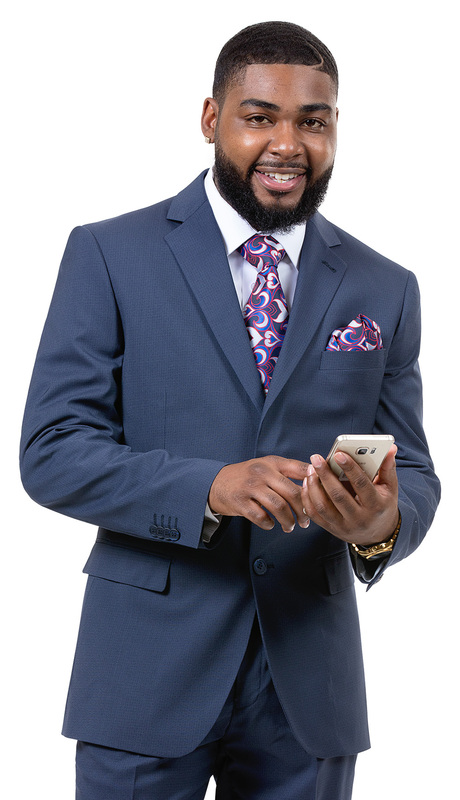 2 piece men's tuxedo or formal suit. 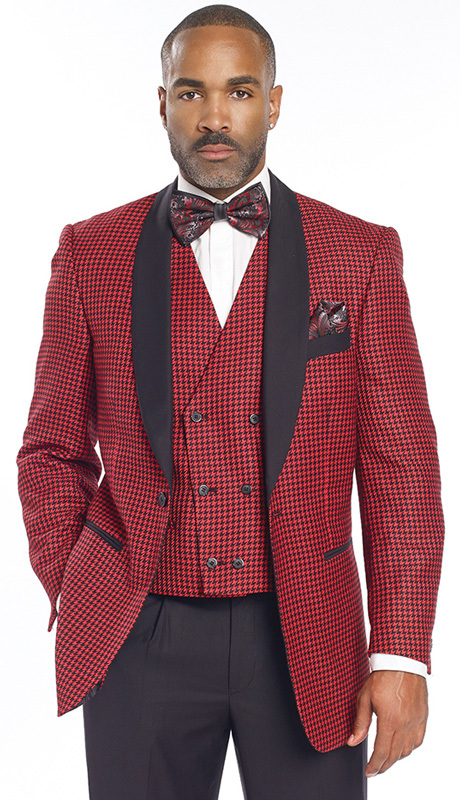 Contrast jacket with black lapels and trim. 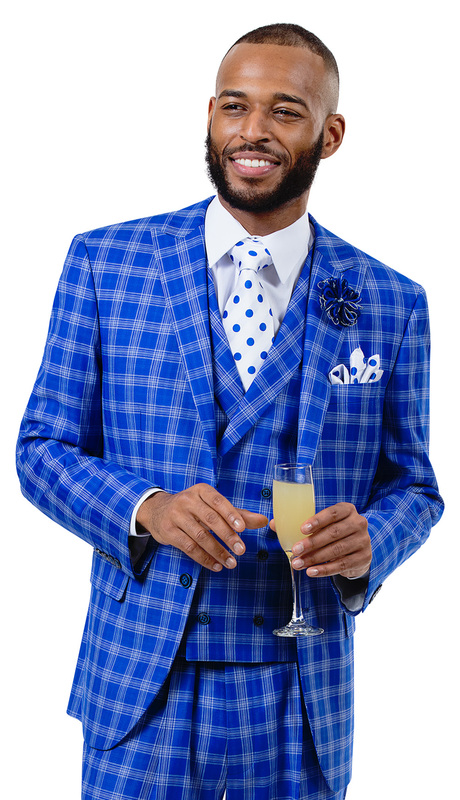 3 piece plaid, two button men's suit with double breasted vest. 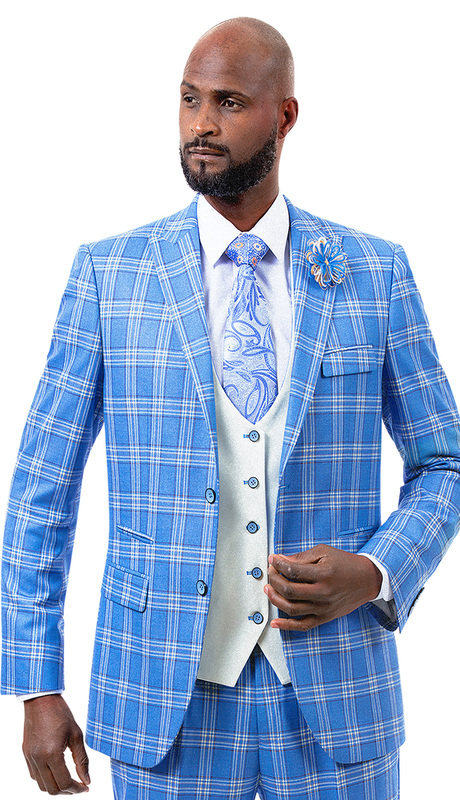 3 piece plaid men's suit with double breasted vest. 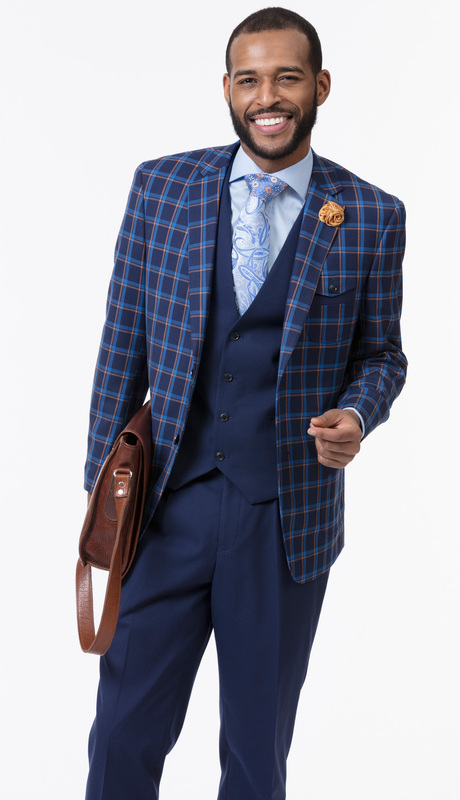 3 piece plaid, two button men's suit with vest. 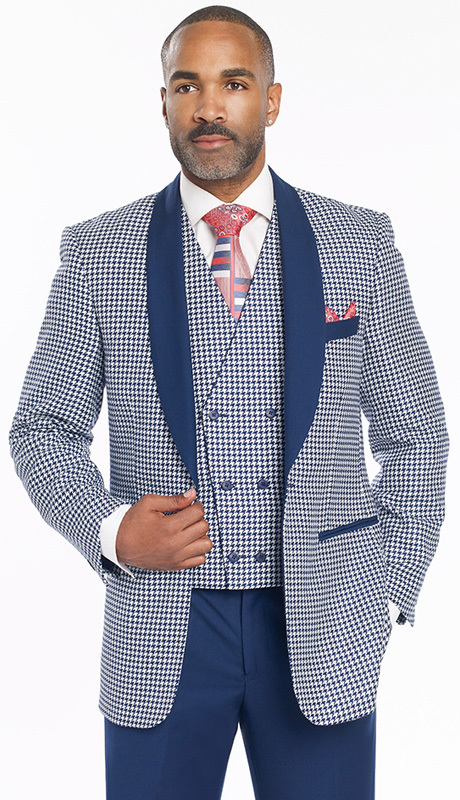 3 piece men's checker plaid, two button suit with vest. 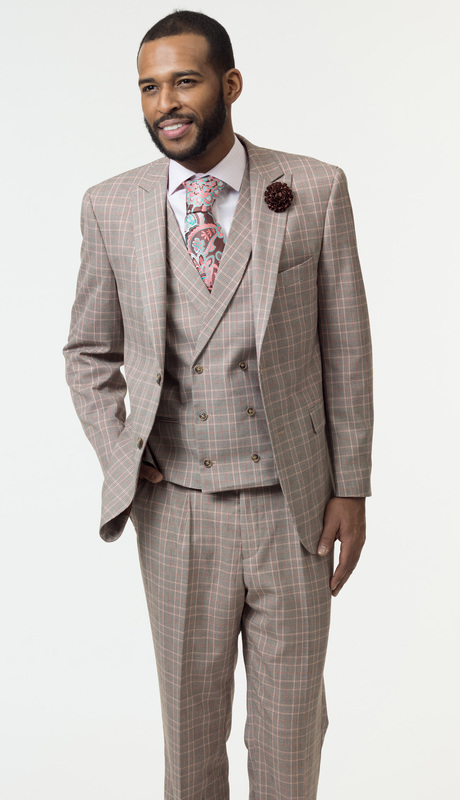 3 piece gingham check men's suit with vest. 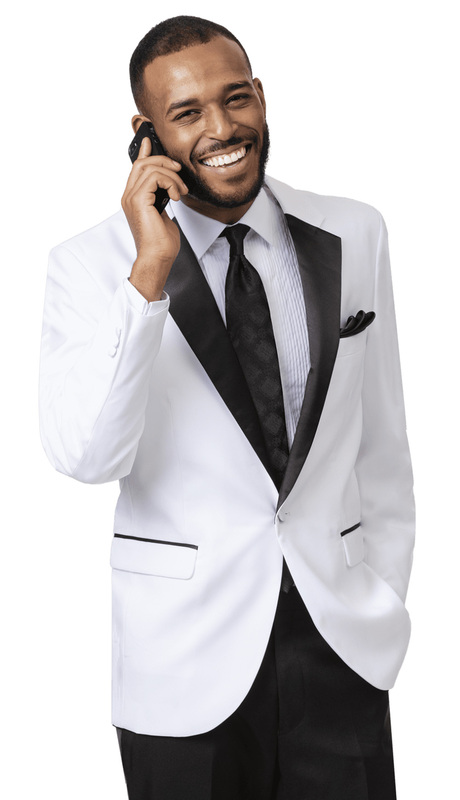 Classic single button, shawl collar men's tuxedo. 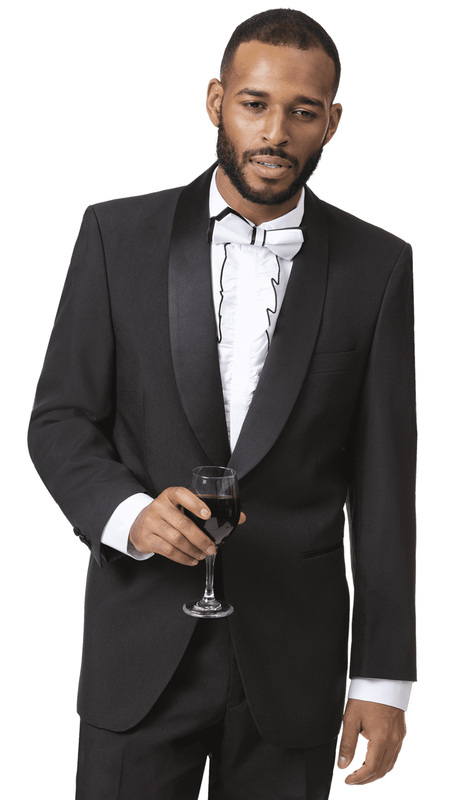 Single button men's tuxedo with wide notched lapels, black edging and triple flap pockets. 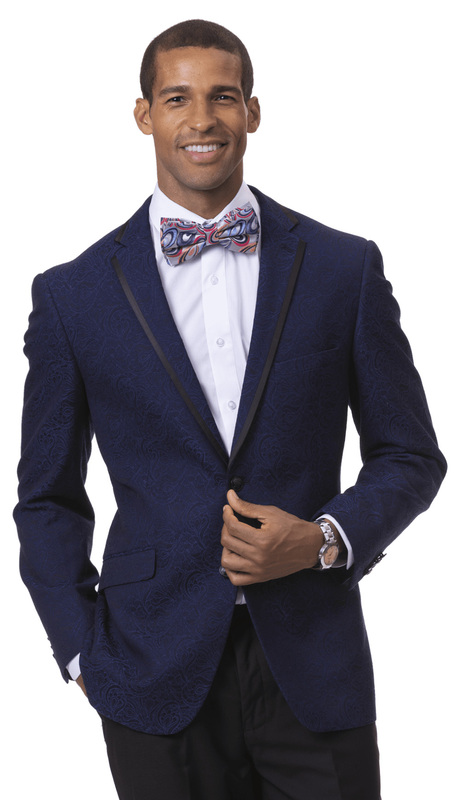 Single button men's tuxedo. 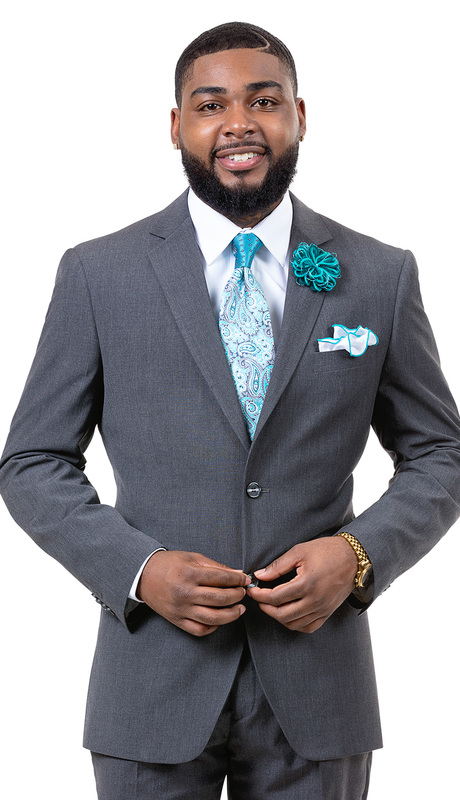 Notched peak lapels with black edging. White jacket, black vest and black pants. 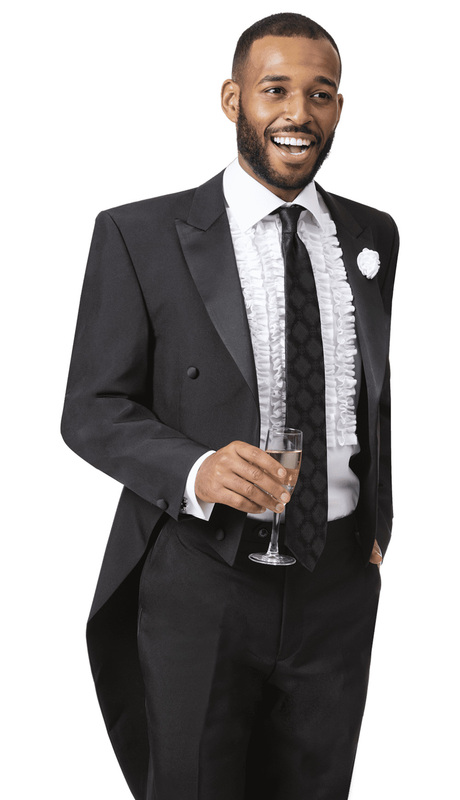 Three button men's tuxedo with black satin lapels. White jacket, black pants. 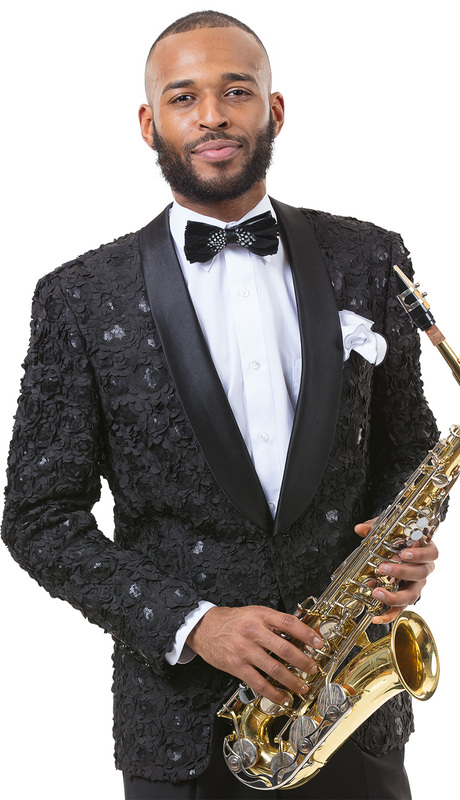 Men's tuxedo. 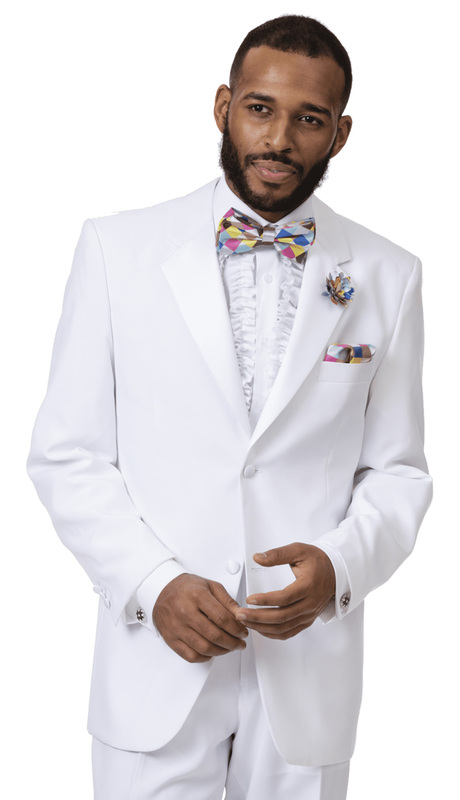 Two button white jacket with black satin lapels, black edging on flap pockets. Black pants. 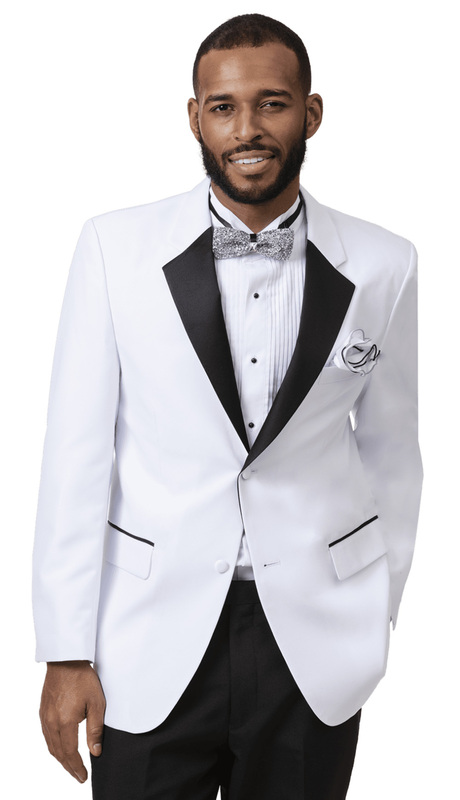 Men's tuxedo. 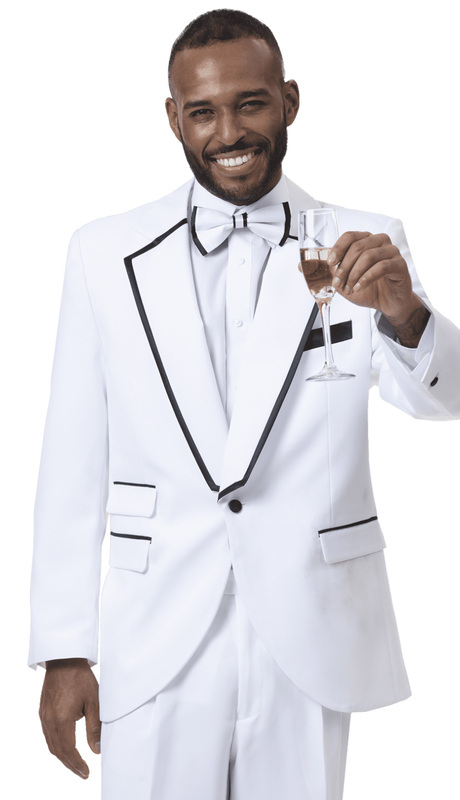 Single button white jacket with black satin lapels and black edging over flap pockets. Black pants. 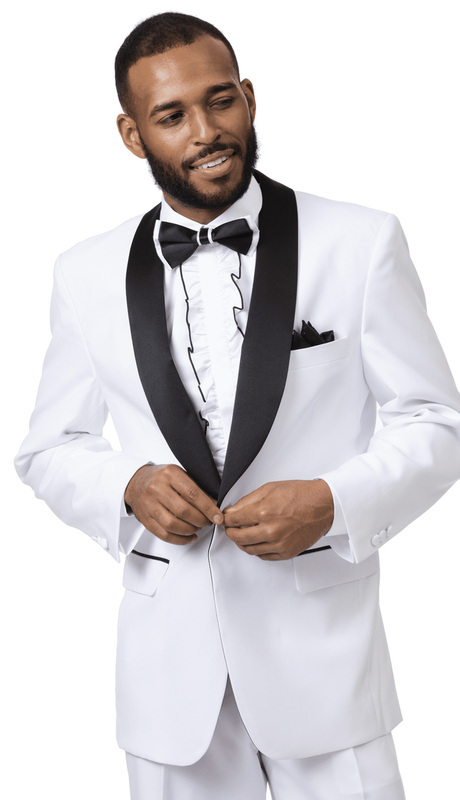 Men's tuxedo. 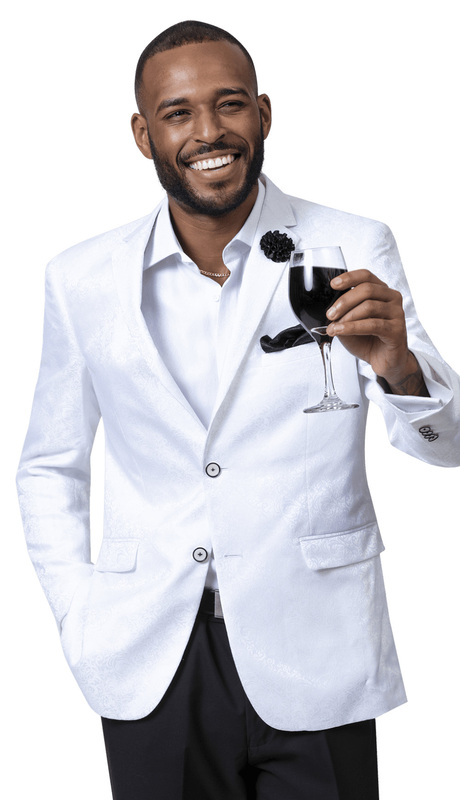 Single button white jacket with black shawl collar, black edging over flap pockets. White pants. 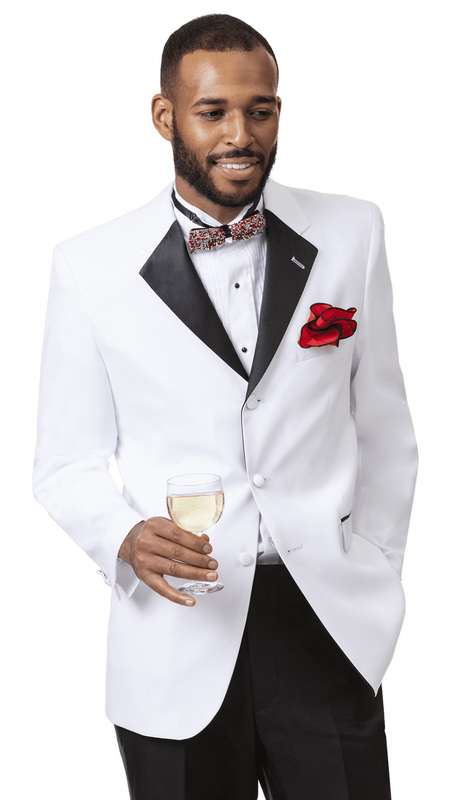 Men's tuxedo. 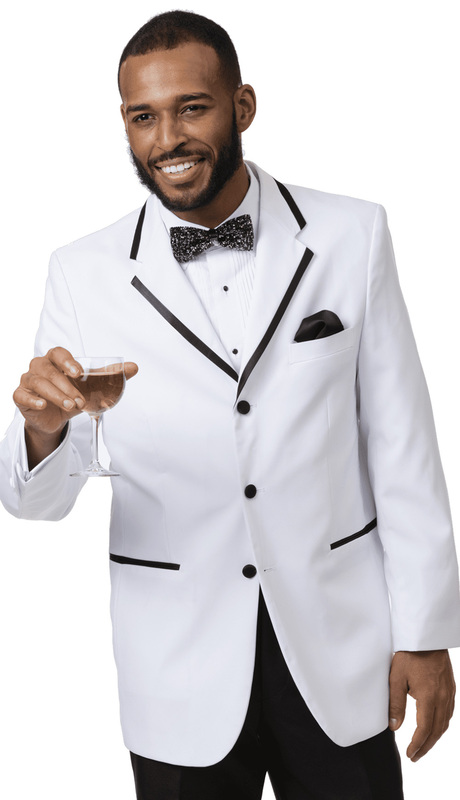 Two button white jacket with black peaked lapels and black trimmed flap pockets. Black pants. 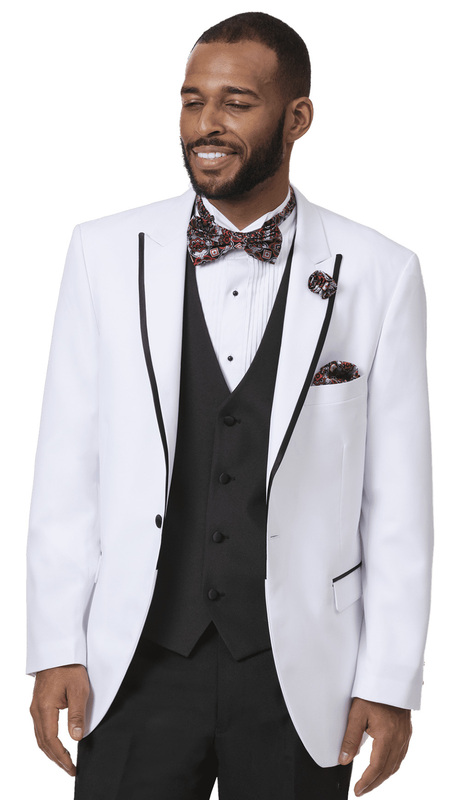 Men's tuxedo. 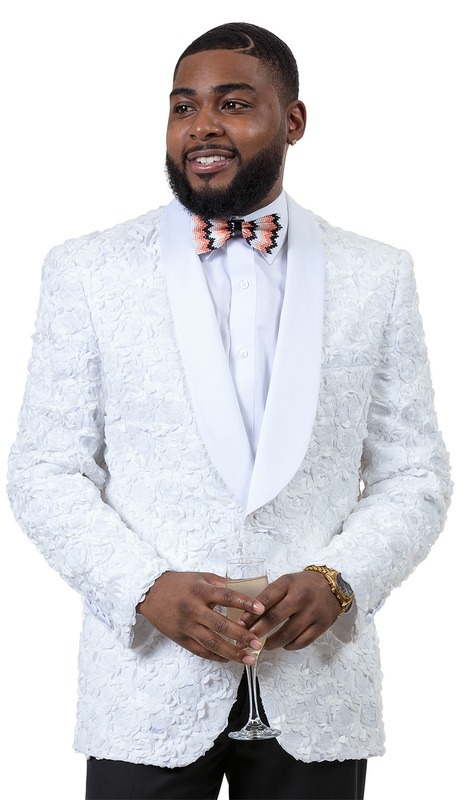 Three button white jacket with black edged notched lapels, black edge slit pockets. Black pants. 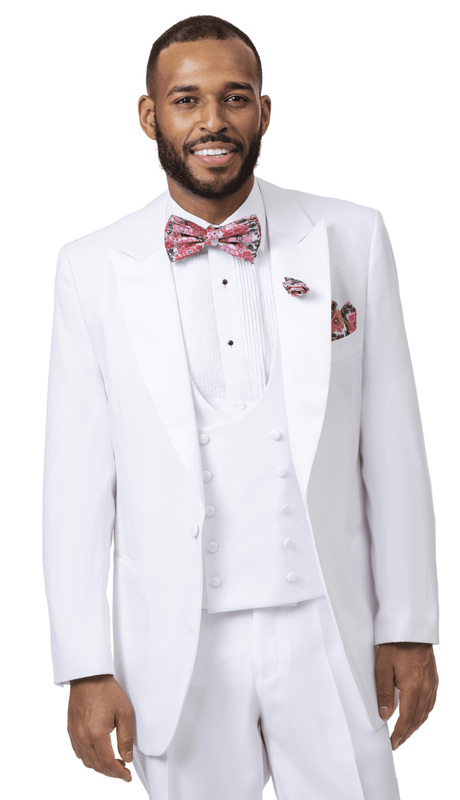 Men's tuxedo. 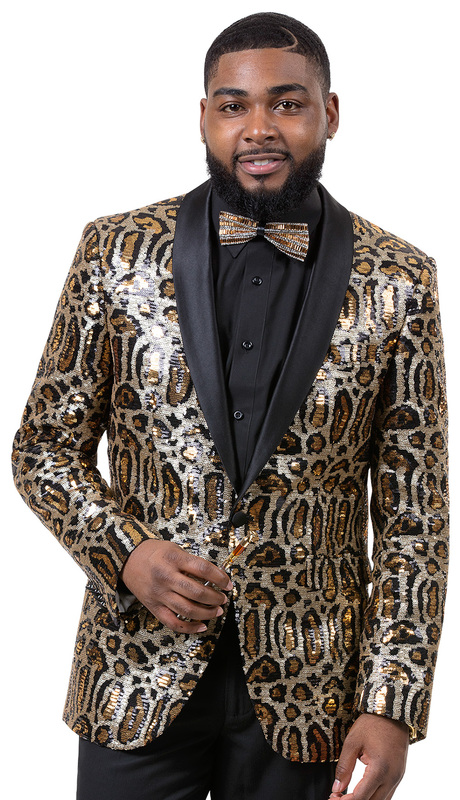 Statement jacket with wingtip lapels, long tail back hem, waist length front hem. Matching color pants. 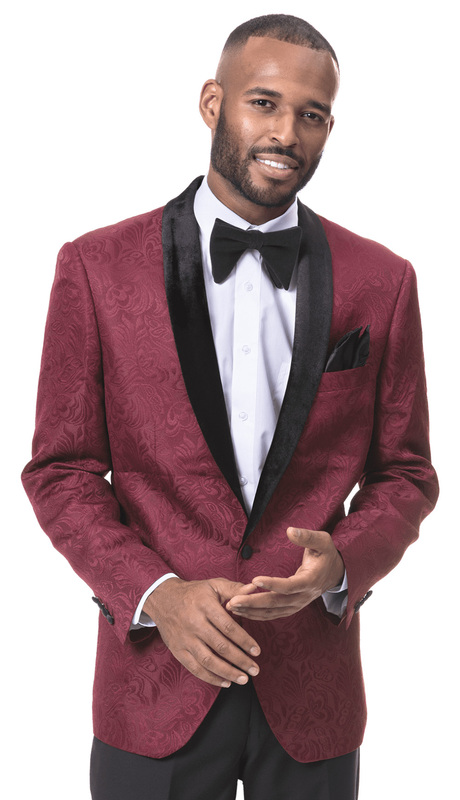 Men's tuxedo. 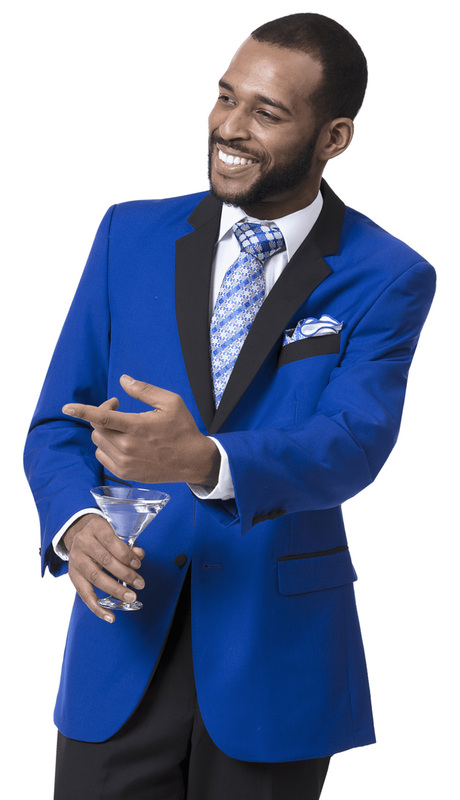 Single button jacket with wingtip lapels, double breasted vest and matching color pants. 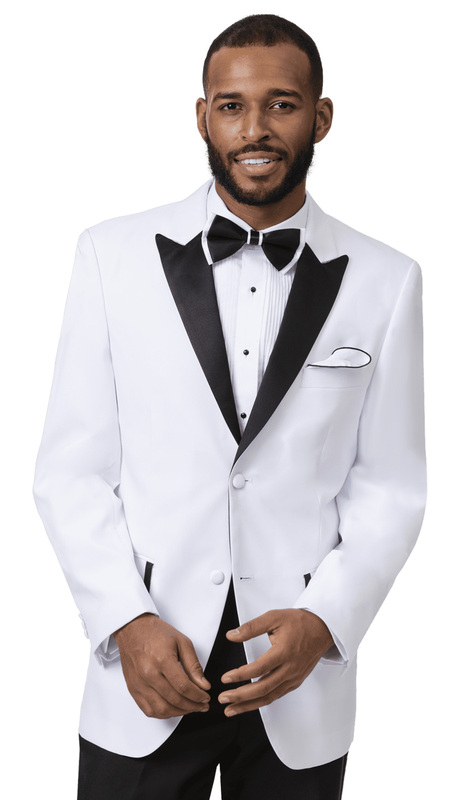 Men's tuxedo. 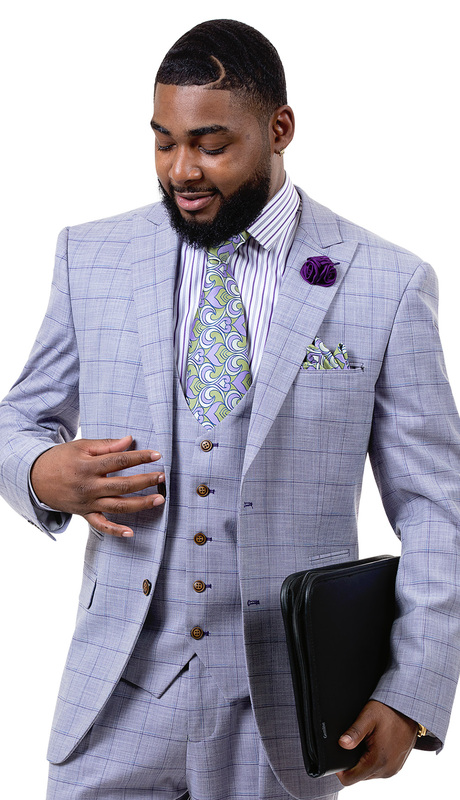 Three button jacket with notched satin lapels and flap pockets. Matching color pants. 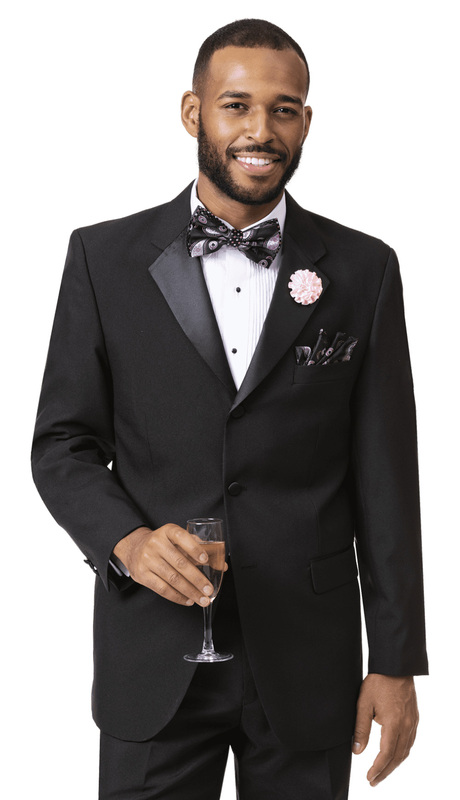 Classic two button men's tuxedo. 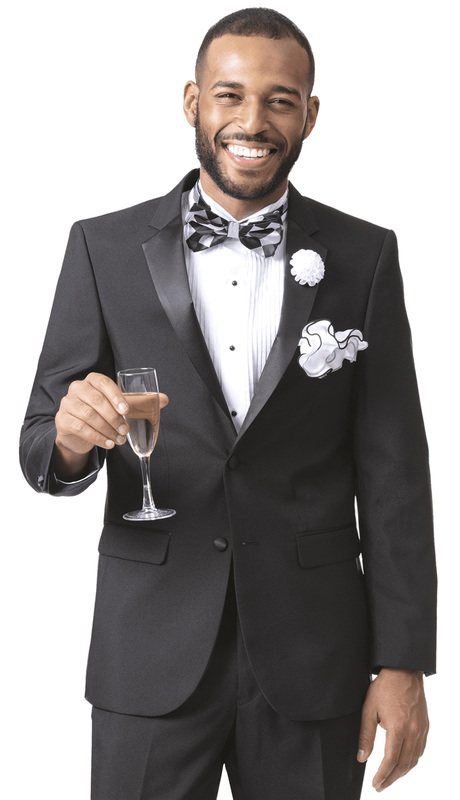 SLIM FIT 2 piece classic men's tuxedo. 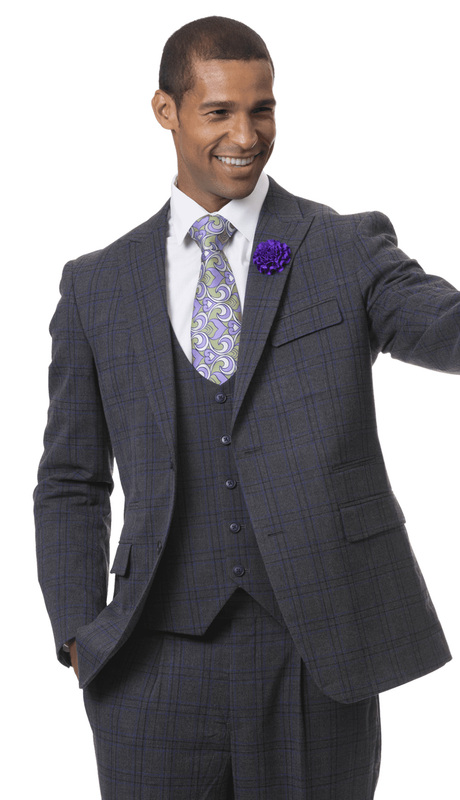 2 button jacket with satin notched lapels. 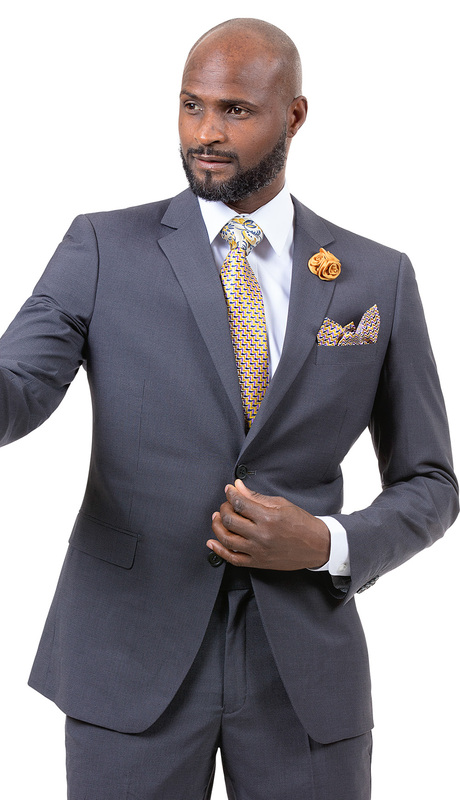 1 piece men's blazer. 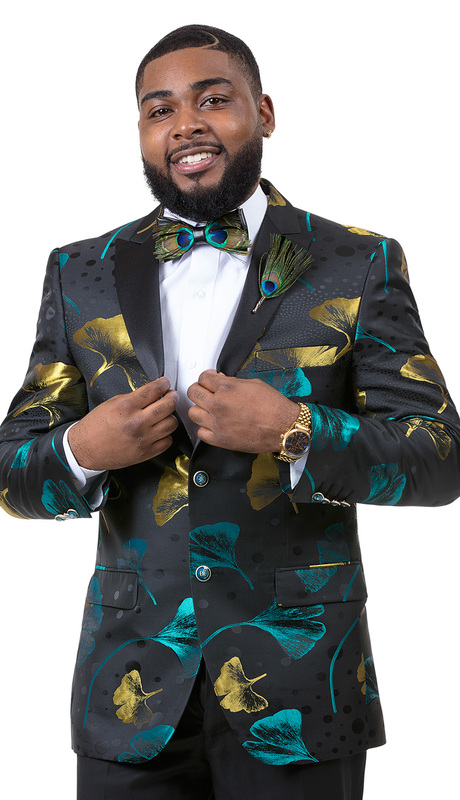 Single button jacket with shawl collar in metallic botanical print. 1 piece men's blazer. 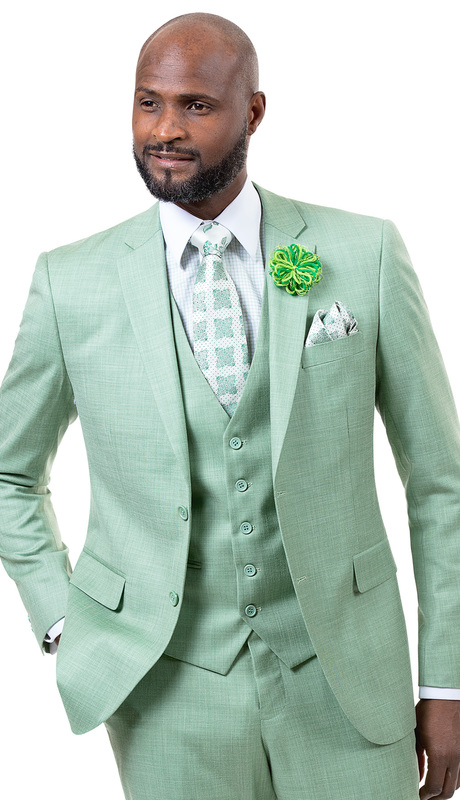 Two button jacket in subtle botanical pattern with satin lapel edging. 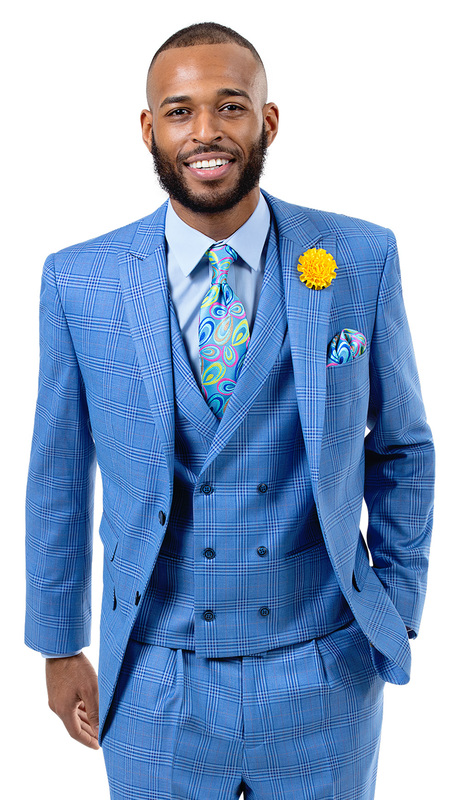 1 piece men's blazer. 2 button jacket in subtle botanical pattern. 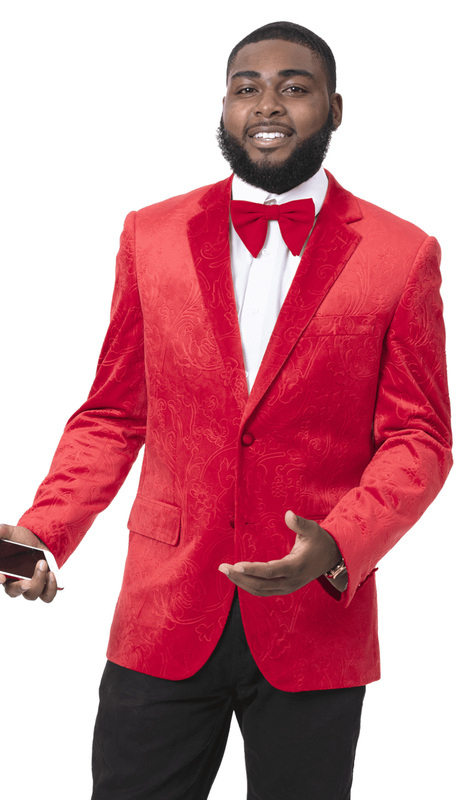 1 piece men's blazer. 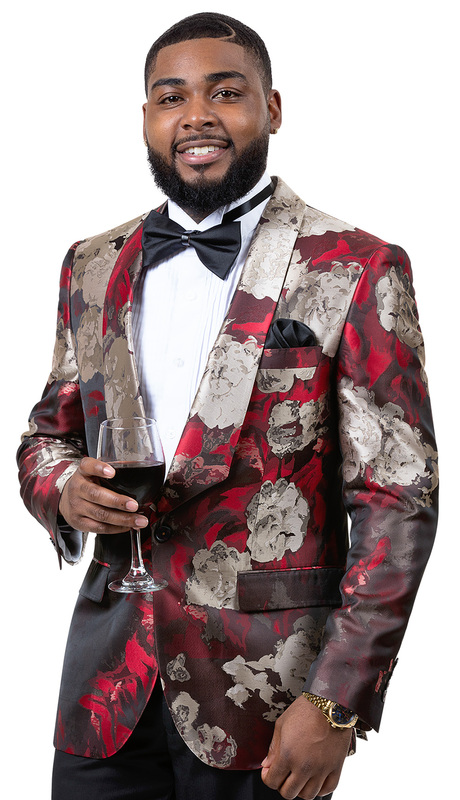 Two button jacket in crushed velvet. 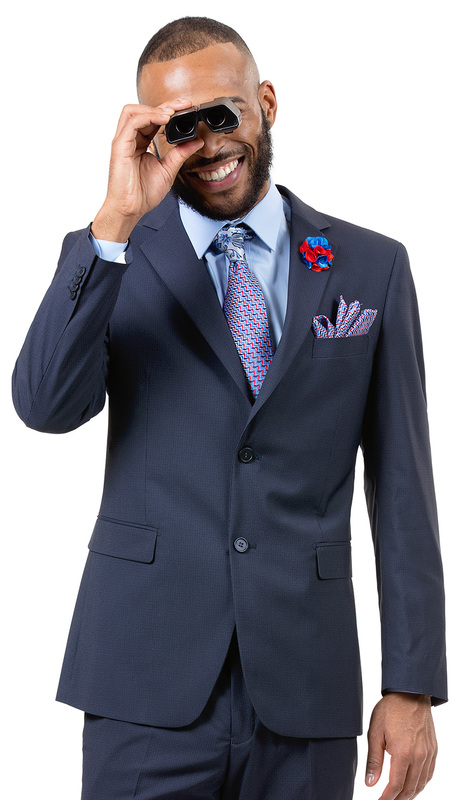 1 piece men's blazer. 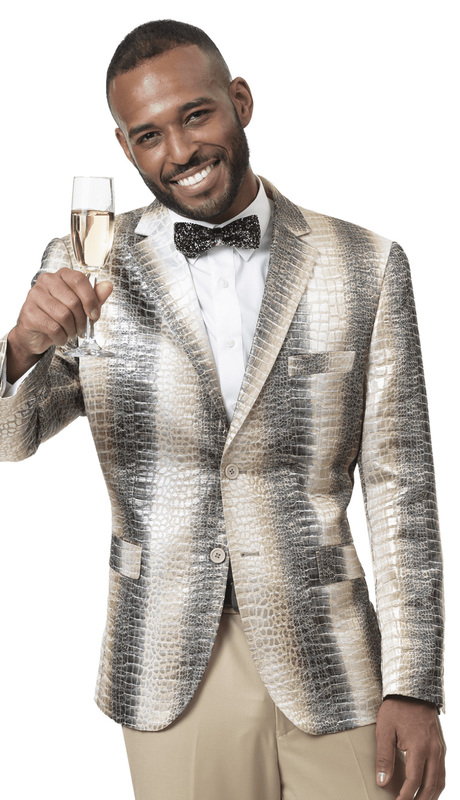 2 button jacket in alligator print. 1 piece men's blazer. 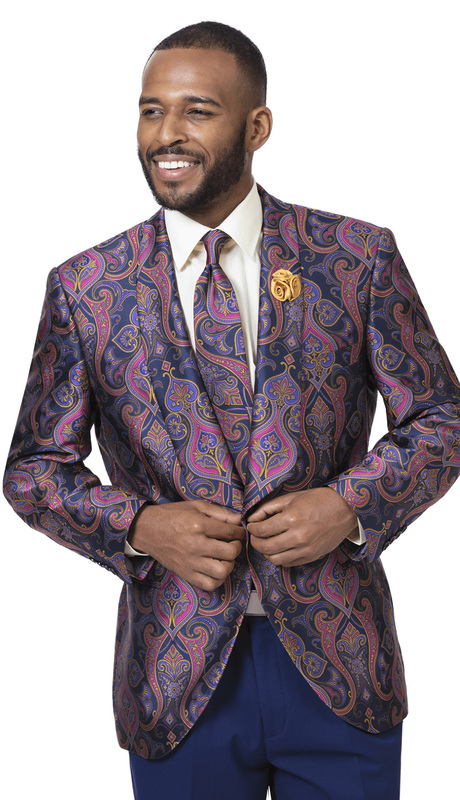 Paisley print, single button jacket with black velvet shawl collar. 1 piece men's blazer. 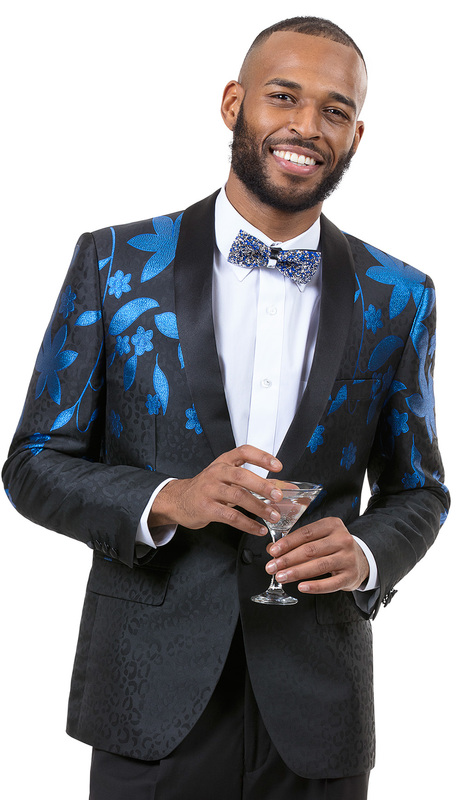 Botanical print jacket with black satin peak lapels. 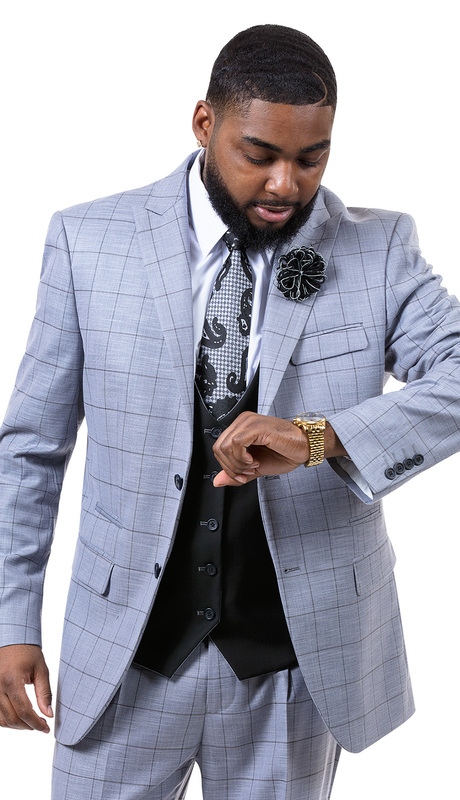 1 piece men's blazer. 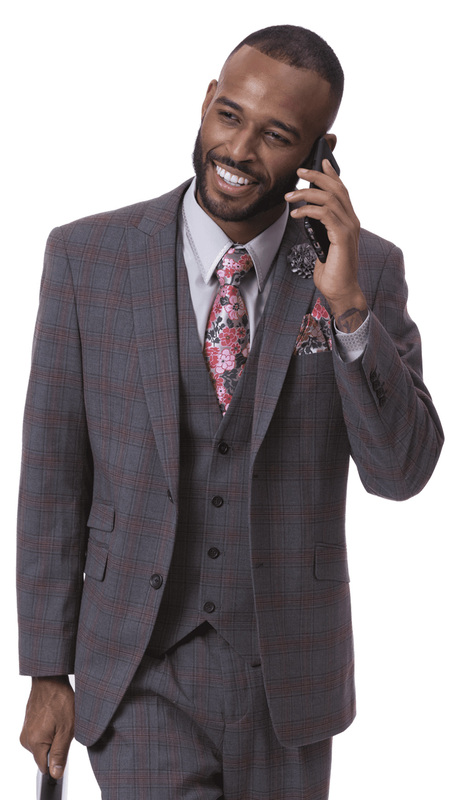 Shawl collar, single button jacket in botanical print. 1 piece men's blazer. 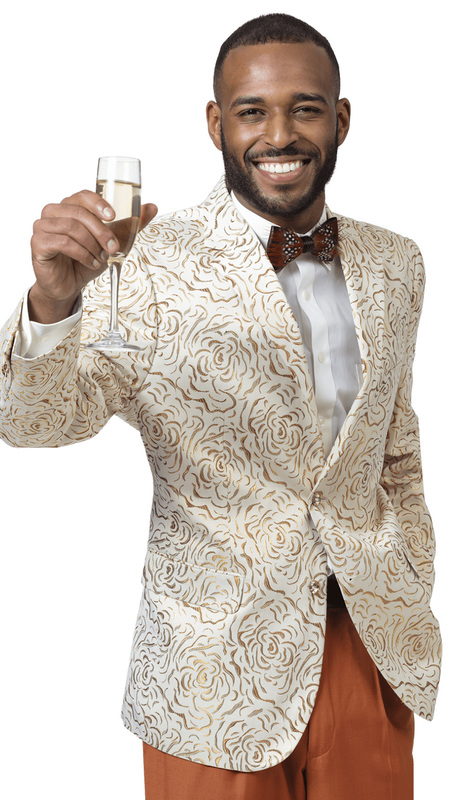 2 button jacket in metallic, botanical print. 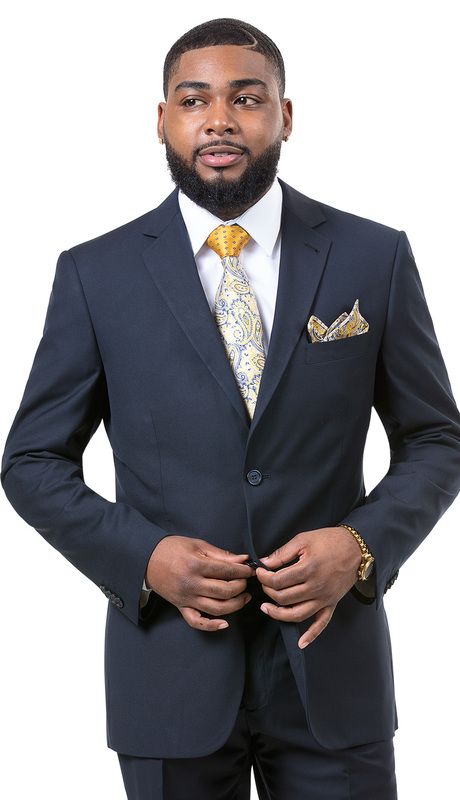 1 piece men's blazer. 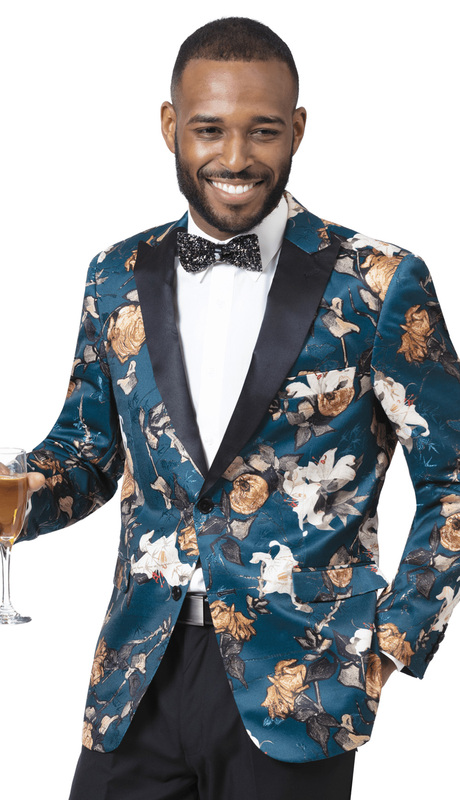 Shawl collar jacket in botanical print. 1 piece men's blazer. 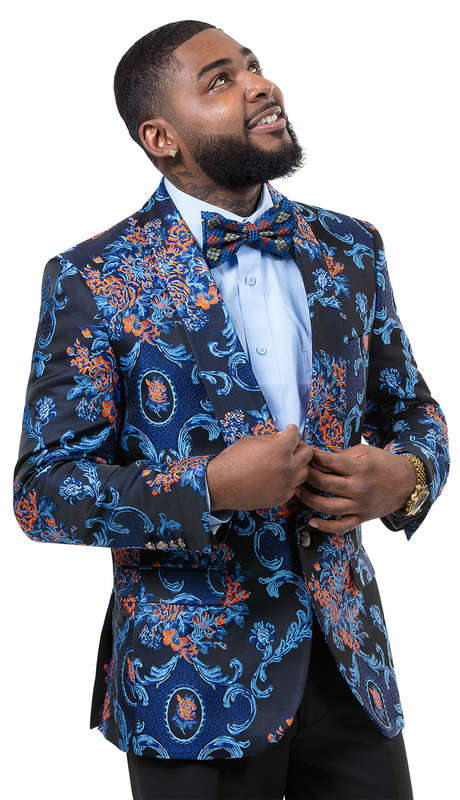 Shawl collar jacket in paisley print. 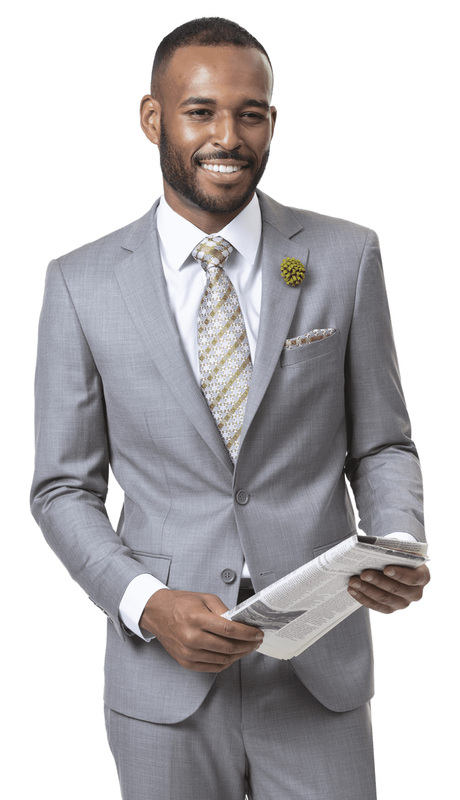 1 piece men's blazer in metallic ginkgo pattern with subtle polka dot print and peaked lapels. 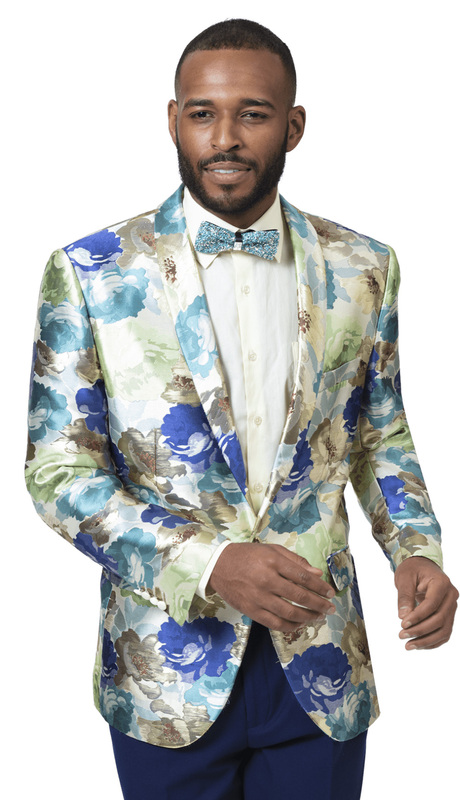 1 piece men's blazer in metallic floral print with shawl collar. 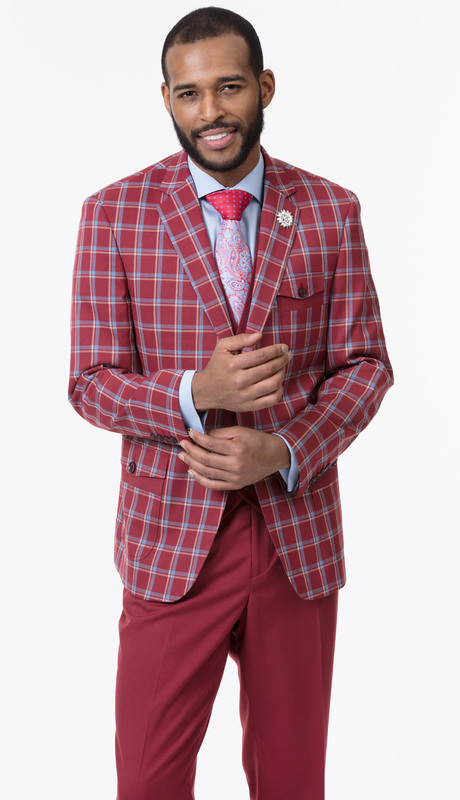 1 piece men's blazer in metallic rose pattern with shawl collar. 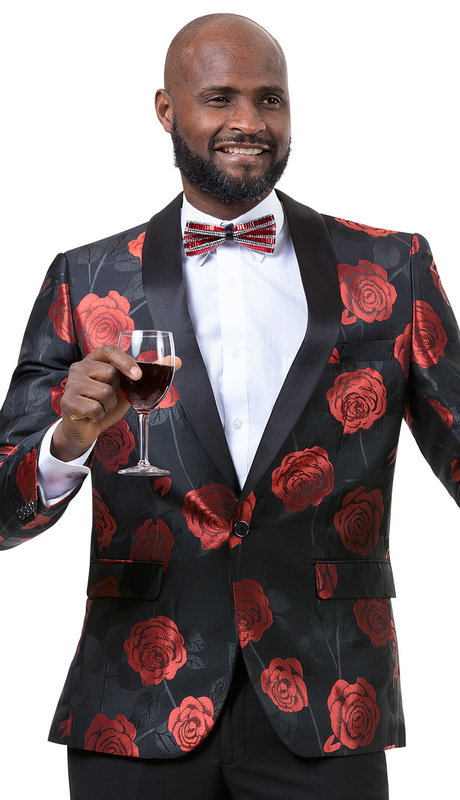 1 piece men's blazer in botanical brocade with shawl collar. 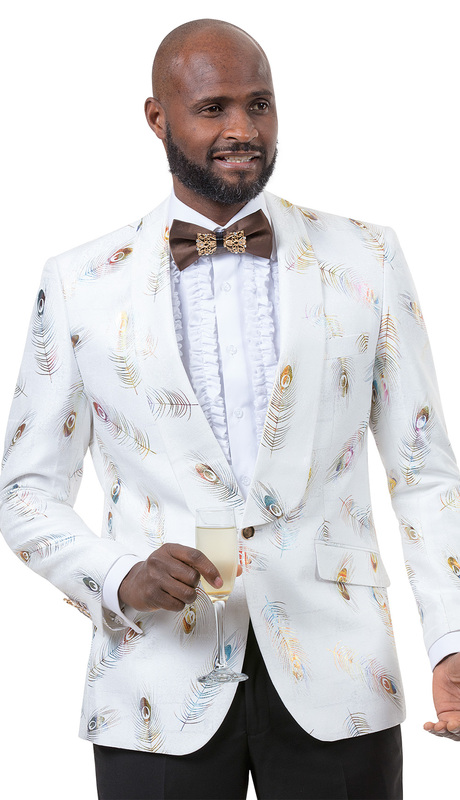 1 piece men's blazer in feather print pattern with wide shawl collar. 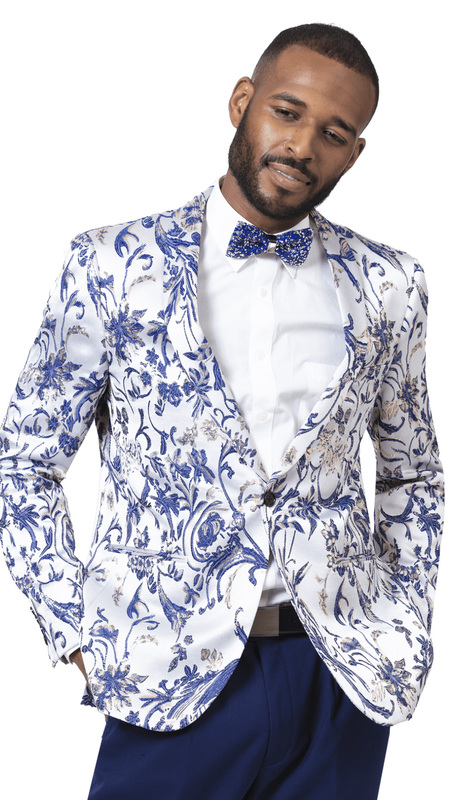 1 piece men's blazer in dimensional floral pattern with shawl collar. 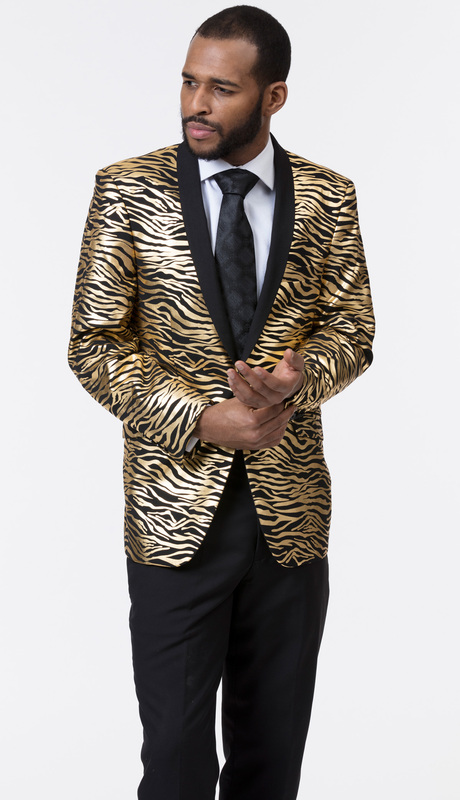 1 piece men's metallic animal print blazer with shawl collar.